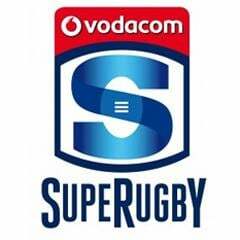 Pretoria - Bulls flyhalf Handre Pollard landed a penalty from almost halfway in the final minute as they escaped with a narrow 25-24 victory over Australia's Western Force in their Super Rugby clash at Loftus Versfeld on Saturday. 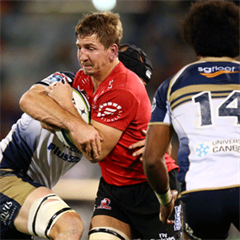 It looked as though the visitors would grab a famous win when flyhalf Sias Ebersohn struck a 60m penalty three minutes from time to give them the lead. Yet there was more late drama as the Bulls collected a penalty for a tip-tackle on Pollard and the Springbok flyhalf picked himself up to convert easily, with his long-range kick sailing through the thin Highveld air. Prop Marcel van der Merwe scored the Bulls' only try of the game at a time when their opponents had been reduced to 13 men following yellow cards for lock Adam Coleman and prop Tetera Faulkner within a minute of each other, in both instances for infringing at the maul. Pollard converted that try and added six more penalties to edge his side in front at the death after they led 9-7 at the break. The Force's points came from tries by Coleman, his fellow lock Sam Wykes and centre Kyle Godwin, with Luke Burton converting the first two and Ebersohn the third.